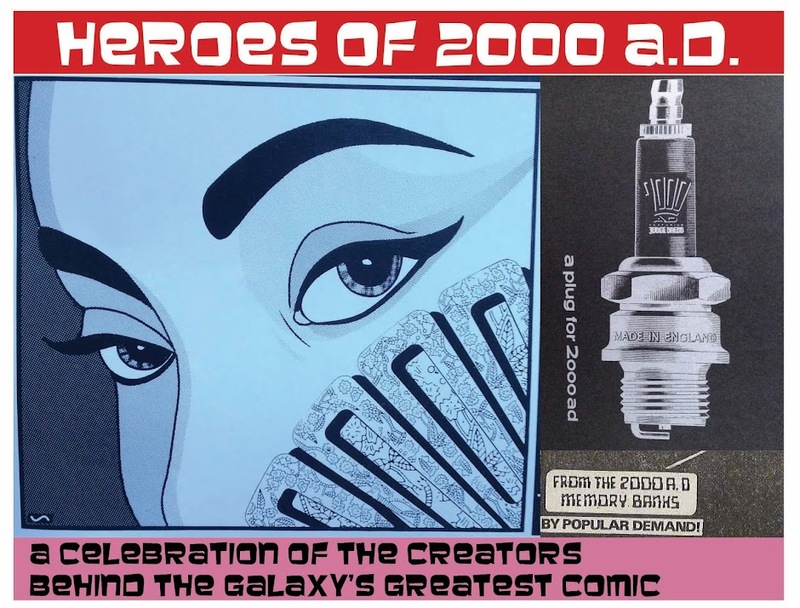 -derived from the extent of his tenure as 2000 AD's designer, meaning he'll have had a hand in pretty much every Prog and special from that time, although the 'true' number may be greater. 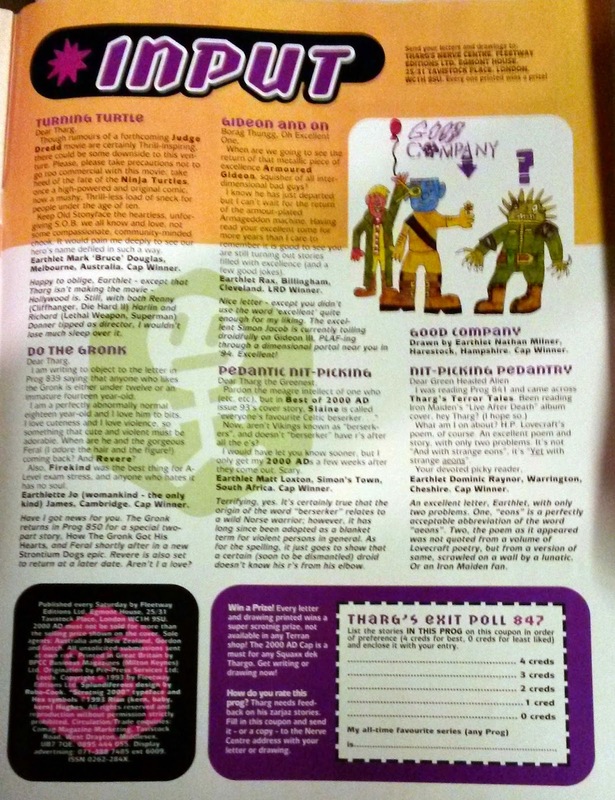 I believe this new look was partly the result of a request from on high to get 2000AD to look more like a magazine. These headline-style logos now have their own nostalgia value, too. Everything takes on a new tinge after enough time has passed! 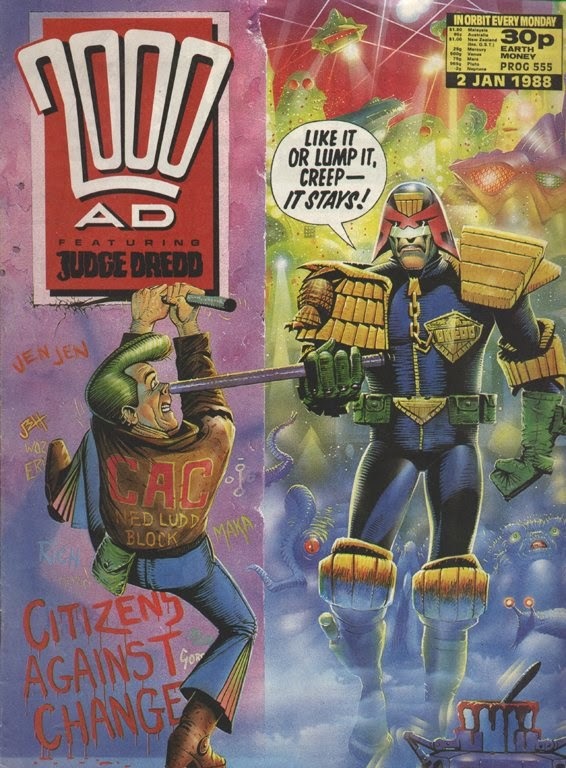 An overview of the Cook design era is best encompassed by flicking through the covers from his time in the job – including the 15 covers he produced himself – and, perhaps even more so, the nerve centres and reader letters pages of those progs, not to mention all sorts of 2000AD peripheral stuff. 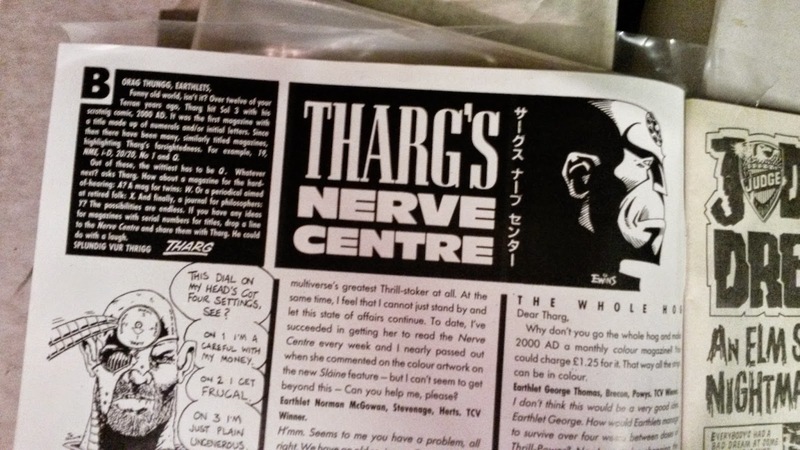 Tharg still by Brett Ewins, I think? 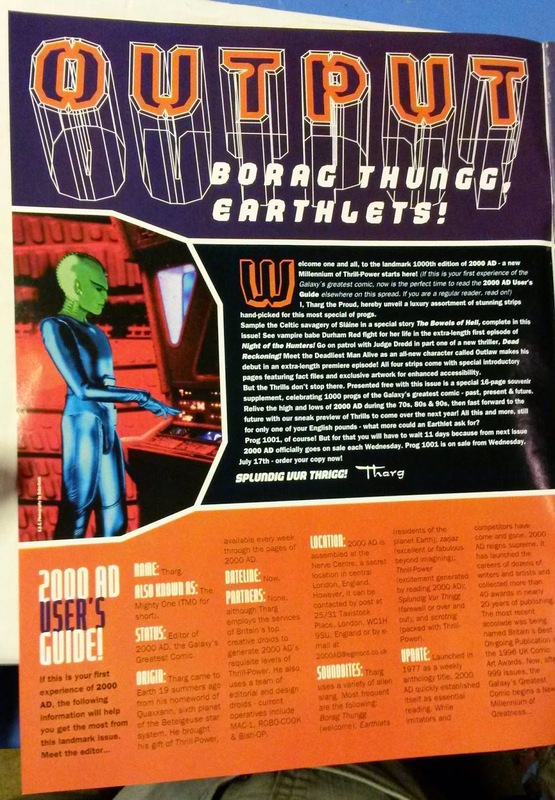 Remember that time Tharg came back to kick out the Men in Black? Art maybe by Steve Cook again? 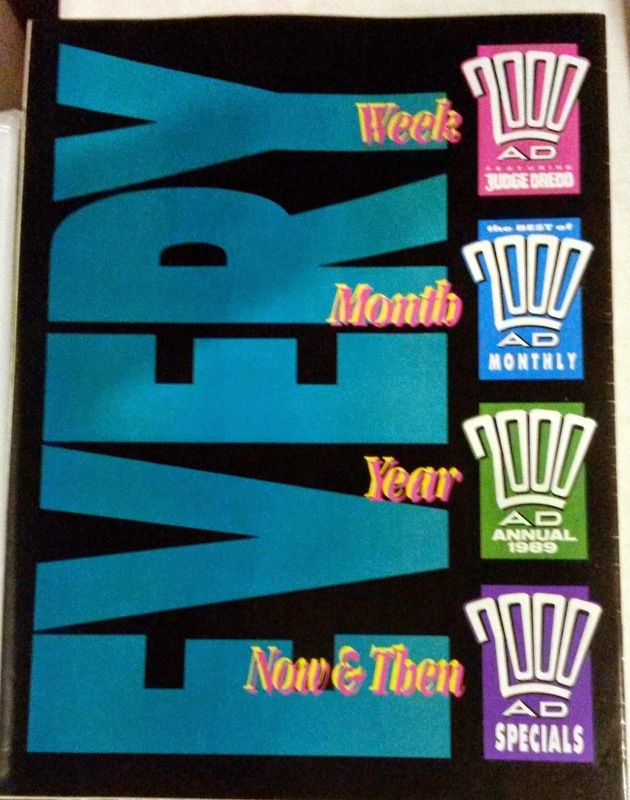 There were plenty of other variations across the years, too. A designer's job is never complete! What, you guys don't read the small print? 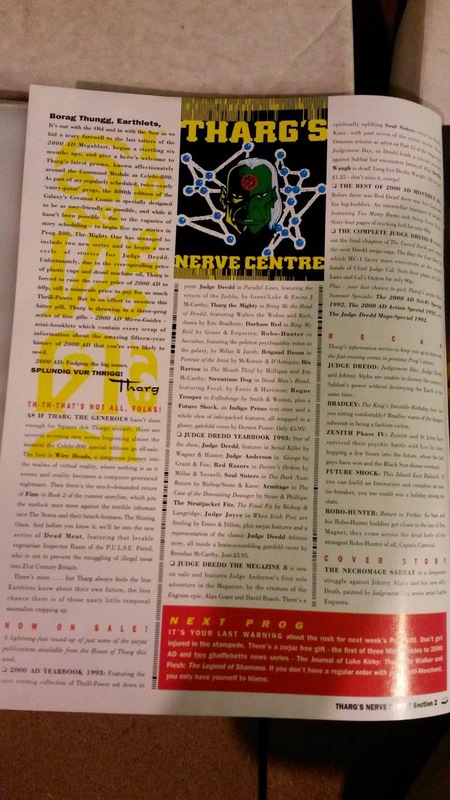 It’s important to point out that Cook was hired as a designer, and specifically not as an art editor – meaning, I gather, that he didn’t have time or budget to do any bodging of the artwork that was printed, in the manner of earlier art assistants including Kevin O’Neill, Colin Wyatt and Robin Smith. According to this little inside joke, Cook was too busy sorting himself out anyway! That said, he surely made his mark on the Prog. 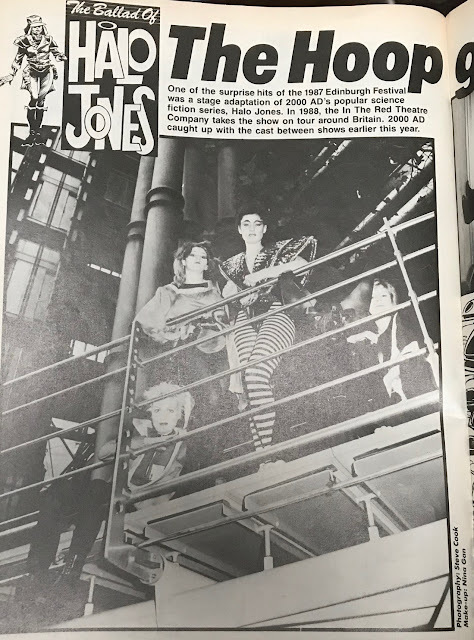 Along with editor Alan McKenzie (coming soon to a blog post near you), Cook seems to me to be part of Tharg’s early 90s move away from the punk/rock ethos towards the rave/dance ethos, which history may or may not agree was a zeitgeist-matching attitude by The Mighty One. Cook the artist was the brainchild behind most of 2000 AD’s photo covers, featuring various actors/models in some really rather incredible cosplay. From the left, that's Halo Jones sitting down, then Rodice, Toy, an actual Toby and Brinna (I think?) on the end. 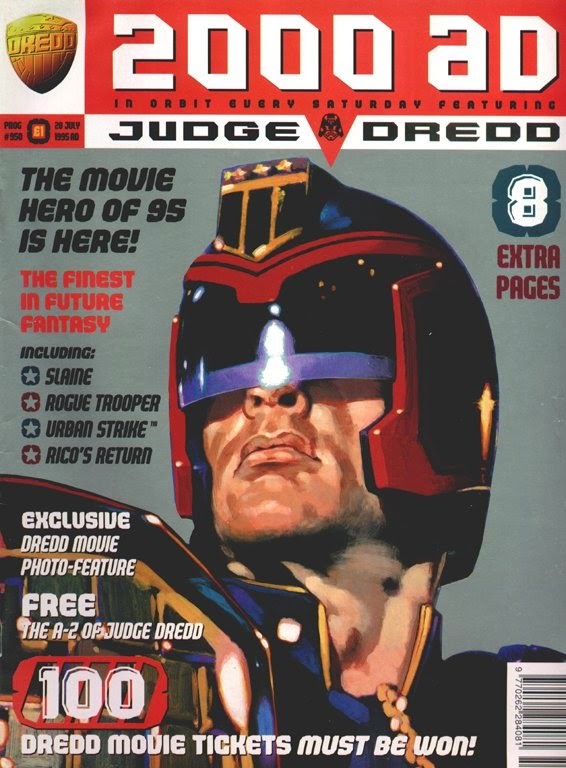 (actually, according to this Covers Uncovered post, some of the costuming was provided by Cook’s own computer trickery), ranging from top level stars such as Judge Dredd and Durham Red all the way to a bit-part character from Devlin Waugh. If you grew up in the 1990s, as I did, Steve Cook is the man to thank for defining and unifying the look of the Galaxy's Greatest Comic! 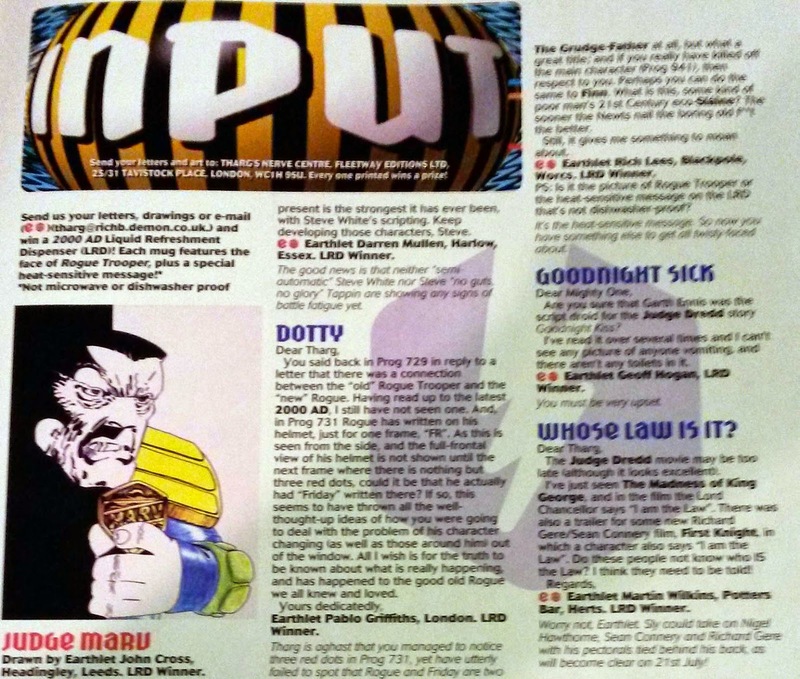 - a hero so unsung I can find out virtually nothing about him, other than that he was the art assistant on 2000AD during much of Cook’s tenure, and likely the designer on Crisis, Revolver, and much of the Megazine - presumably working closely with designer Steve Cook on many of these jobs. 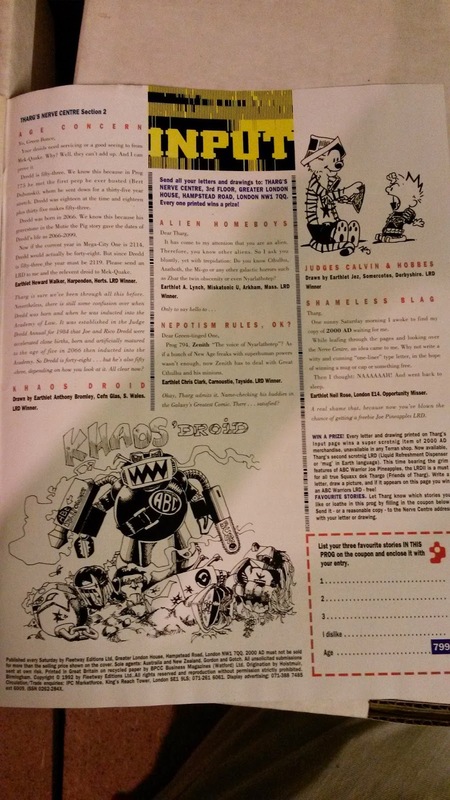 Steve Cook mantains his own excellent blog, Secret Oranges, which delights readers with hidden gems from the 2000 AD vaults every now and then.